Planning a wedding can be stressful, especially if you have to do it on your own. It’s always best to give yourself a break, if you feel guilty about wasting any down time you can watch some of hollywoods best wedding films in order to gain some inspiration. If you’ve never really understood all the things that your wedding planner has to do to assure that your day is perfect this movie will give you a great understanding.However, don’t read to much into the plot of the movie and have your husband avoid the wedding planner all together. As weird as this movie may make you feel it is in your best interest to have your husband help as much as possible to take some of the stress off of both you and the planner. Every father can certainly identify with the chaos and expense of hosting his daughters wedding.Although many fathers hate the idea of having to pay for things like ice sculptures and swans they will do anything to assure that their daughters day is everything she dreamed. 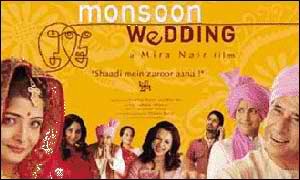 Anyone with a really large family understands that there is no such thing as a small wedding.This movie is the perfect example of how a very opinionated family can overtake the planning of one wedding. If the title of this movie doesn’t say it all then we really don’t know what will do it for you. This movie will show you that large weddings are stressful and chaotic in every part of the world.This can especially be stressful when you are trying to mix old and new customs and traditions into a modern wedding. 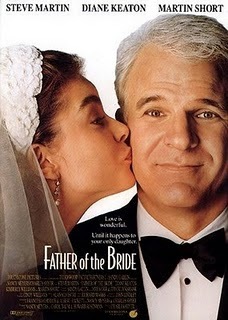 Hopefully you never find yourself in the same position as the bride in this movie, but it does make for a pretty funny story line. if anything you will know what signs to look for in your husbands close friends. Though you may want to take plenty of notes from wedding movies I suggest you use a lot of your own ideas because trying to incorporate too many elements can cause way more confusion than any of these movies. This entry was posted in Uncategorized, Wedding Advice & Tips, Wedding Details, Wedding Planning and tagged bridal, budget & finance, Layne Corban, Wedding Day, wedding de, Wedding Details, Wedding Planning, Weddings. Bookmark the permalink.